You know what my favorite business blogs are? The ones that go into detail about how they make their money. Especially people who lay out their entire launch plans, recap exactly what they did, and whether or not their strategies were successful. 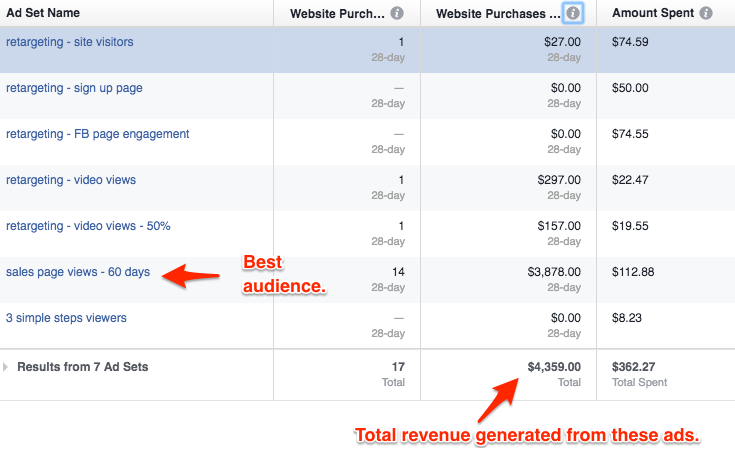 Launch recap: an in-depth look at the 6 things I did for my $37K launch. 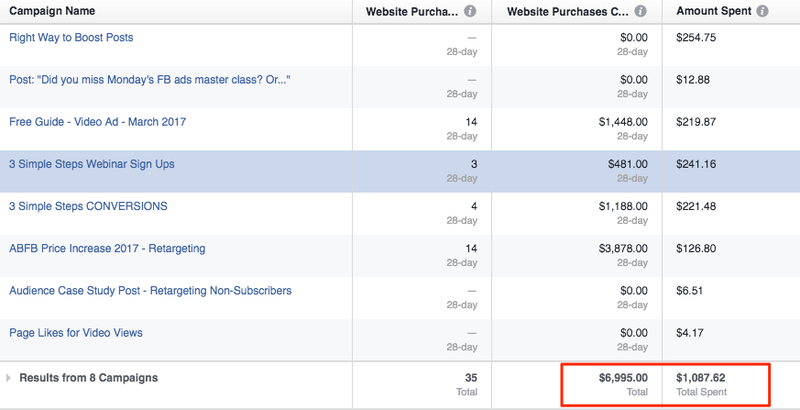 To bring in a flood of new customers for my Facebook ads course, Absolute FB Ads before raising the price. 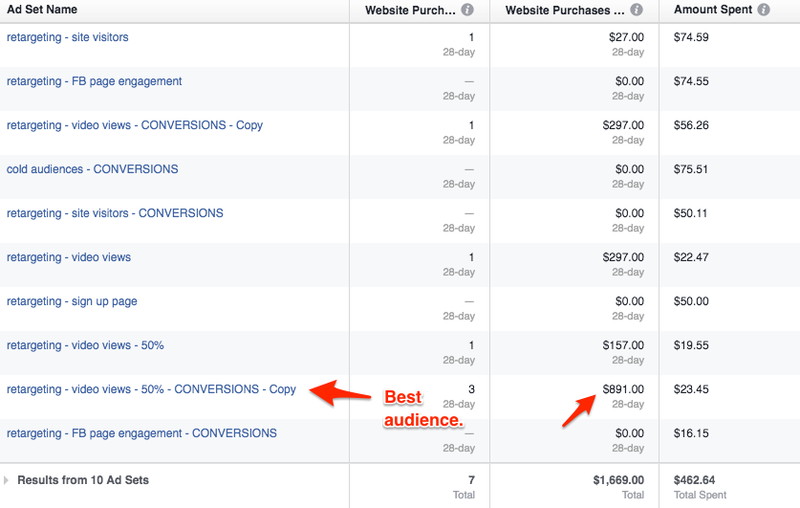 The last time I raised the price from $97 to $297, I sold more copies of the course than I had in any other launch. Price is a big motivator for people who are on the fence about purchasing something, so I expected sales to come in pretty easily this time around. And $297 compared to $997? Kind of a no-brainer for lots of people in my audience. 1. I re-started my list building ads in March. To be honest, these ads weren’t 100% designed to increase my list before this promo. 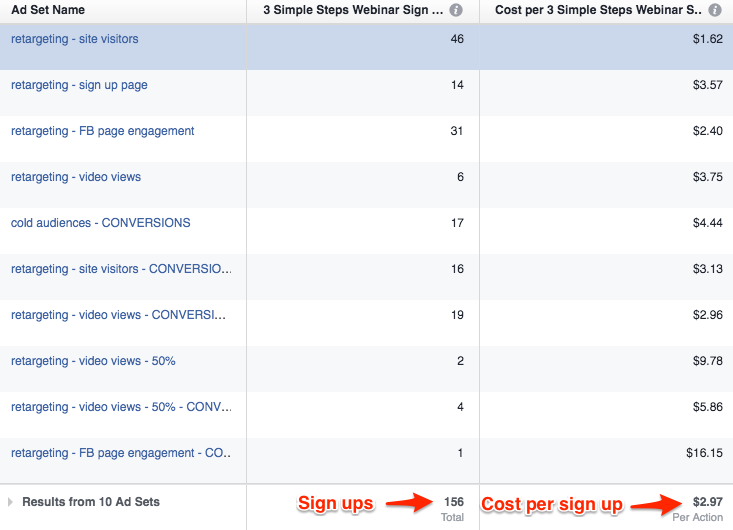 I had a new tripwire in place in my funnel, and I wanted to test how cold and warm traffic converted from a Facebook ad to a customer. I also wanted to test out video ads for list building ads, so I put together a campaign and let it run. When I finally found the audience that was paying me more for the tripwire product than I was paying for ads, I let it keep running. I spent about $10 a day on those ads from mid-March to mid-April. 2. I worked with my coach to plan out every last detail of this launch. This was HANDS DOWN the #1 reason for the success of this launch. When it comes to selling anything in my business, I’m super lazy. I don’t like to work too hard on writing copy, doing outreach, pitching, the works. But . . . since we’re being honest here, that “laziness” is just an excuse. It’s my excuse for being scared. Scared of the same thing lots of people fear when it comes to selling: fear of rejection, of disappointing people, of turning people off, of failure. So my initial plan for this launch was to send out a few reminder emails, probably repurpose some old sales emails so that I wouldn’t have to worry about my sales copy being terrible, and maybe do a webinar. So when my coach, Barrett Brooks, suggested we do a session 100% dedicated to this sales push, I conceded. On April 11, with 3 weeks left for people to buy at the $297 price, we got on the phone to make a plan. And boy, did we make a plan! Barrett made me write down every email I would send, the day I would send it, the topic of each, and the call-to-action to be included. Because I had those details nailed down, I didn’t have to think about what to send to my list, and when. I just consulted our plan every single day, and got to work. He told me to just f-ing ask some people, and gave me a deadline for getting a commitment. It turns out that people who like you will gladly help you out, free of charge. I asked two friends to co-host with me (one for each of the two webinar times), and they said “hell yes” immediately. Finally, he forced me to come up with a simple worksheet that would help people engage more with my webinar and set them up to implement what they learned. Feeling like they’ve made real progress, he said, will make them feel more success as a result of what you’ve taught them. We literally banged out the worksheet activities right there during our call. All I had to do was make it look a little prettier. 3. I reached out to friends and clients and invited them to join my customers as affiliates for the product. I’ve had affiliates for my launches in the past, but this is the first time I provided them with swipe copy they could use to promote the course. I also ended up doing 4 Q&A calls and webinars for affiliates and their communities. Those affiliates were the ones who sold the most . . . by a LOT. 4. I hosted two webinars on the same topic at two different times. My last webinar was back in April 2015. Seriously – I was out of practice. But I knew that I could give away truly valuable strategies that would set people up for success, especially when they took my course to learn to implement them. This was something that was missing from my last round of webinars: the information gap. In the past, I would pretty much teach everything, and then pitch the course. But why would they need to buy it if they got everything they needed in the webinar? 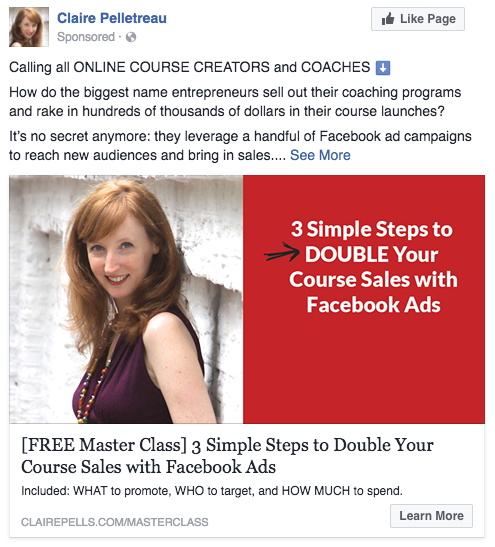 In the 3 Simple Steps to Double Your Course Sales with Facebook Ads, I taught people about what ads to run, and a bit about which target audiences to use. The real nuts and bolts of how to write the copy, which images to use, how to read the reports – all of that was missing in this webinar. Where could they get it? My course. The pitch felt a bit more natural to me with this topic. People don’t attend webinars anymore. Or at least that’s what I feel like everyone on the internet is complaining about. So I decided to try out Facebook Live for my webinar platform, counting on the fact that Facebook would give it a nice wide reach and allow me to run ads to the replay. So I wrote a blog post about it, embedded a Like button on it, told people to like my page to get notifications, and then offered a free worksheet to get people to actually sign up. 5. I sent out a lot more promotional emails than I have in the past. Between April 6, when I officially announced the May 1 deadline to get my course at the $297 price, and April 30, I emailed my entire list a total of 8 times. These emails promoted the webinar and, once the webinar was over, there was a combo of hard and soft pitches for the course. If you’re interested, you can see them all here. NOTE: In the emails promoting the webinar, I got people who were a wrong fit for the course to self-identify. “If you own an e-commerce business, click here.” I set up a tag in Convertkit to be added to anyone who clicked on that link. I then excluded them from future emails about both the webinar and the course, since I knew they wouldn’t convert to customers. In the future, I can send them very specific emails about offerings that are ideal for e-commerce entrepreneurs. 6. 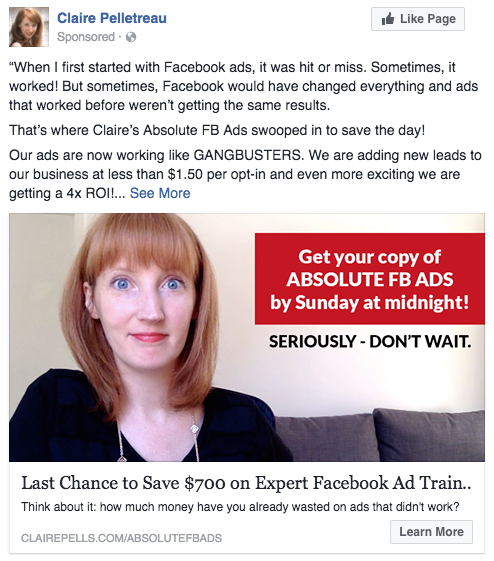 I ran a lot more Facebook ads. In addition to list building ads I mentioned above, I also spent about $1500 on ads in April alone. They had a number of different objectives; here’s a breakdown of what I did. Content awareness ads. I spent about $250 promoting a video I had created about the right way to boost your post. I have never gotten so much traffic on an ad before; this post ended up getting 16K views, 31 comments, 88 likes/reactions, and 41 shares. Most of the comments were people tagging their friends or coworkers. I was thrilled! List building ads promoting the webinar. I mostly targeted my own list, fans and site visitors, but I also targeted people who had viewed my recent videos (including the Boost Post one mentioned above). Ads promoting the course. I targeted my site visitors, people who had viewed the webinar sign-up page, people who had engaged with my Facebook page recently, people who viewed my webinars, and people who had visited the course sales page. The verdict? Goals were SMASHED! 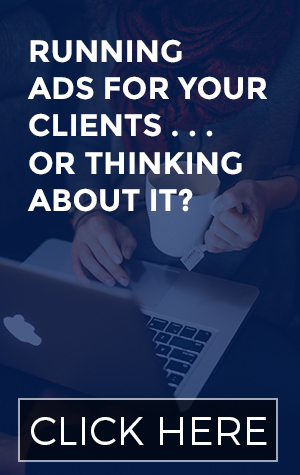 Run a content awareness video ad specifically for coaches and course creators. Double down on the pre-launch list building ads. 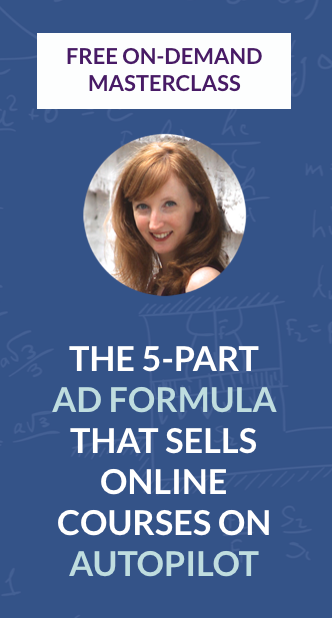 Run more ads to cold audiences for my webinars. Create a Facebook group for my affiliates in order to facilitate communication a bit better, and get them pumped up about promoting even more. Make the last day to buy a Tuesday, not a Sunday. It makes it easier to handle questions and purchase troubleshooting without asking my VAs to work on the weekends. Use a different system to manage my affiliates. I’ve heard great things about Thrivecart – apparently it’s like Samcart but way cheaper – but I can’t speak to their affiliate system. What do you think? What have you learned from your own launches that you always implement (or completely avoid) when you’re launching now? Affiliate disclosure: some links contained in this post are affiliate links, and I may receive a commission if you end up becoming a customer. Just a heads up!